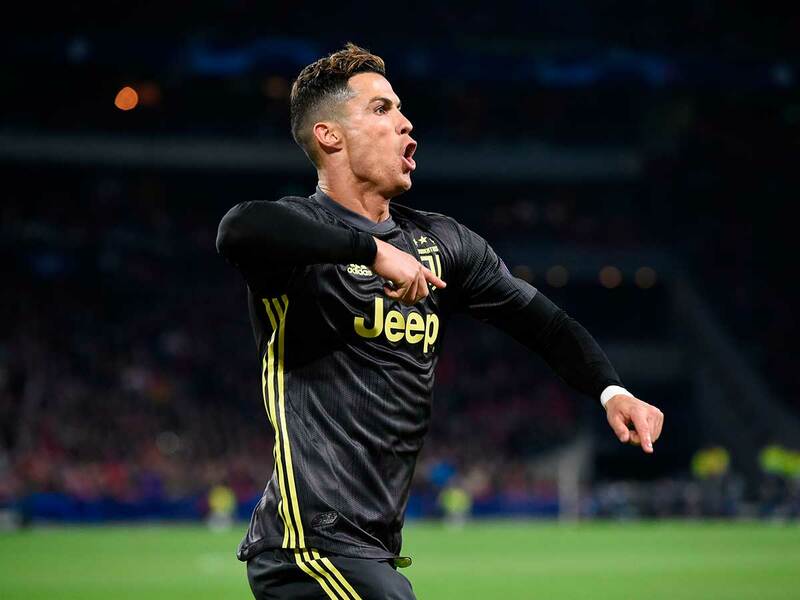 Turin: Cristiano Ronaldo is likely to win his first trophy with Juventus this weekend. Juventus need just one point at relegation-threatened Spal on Saturday to secure a record-extending eighth straight Italian league title. They are 20 points clear of second-place Napoli and have a better head-to-head record, which is the tiebreaker in Italy. AC Milan host Lazio on Saturday in a match crucial to both teams’ ambitions of qualifying for the Champions League. Milan are in the fourth and final qualifying position but are above Atalanta based on their superior head-to-head record. Roma are a point further back, while Lazio are three points below Milan but have played one less game. Over in France, Paris St-Germain get a second chance to wrap up the French league title. The defending champions travel to second-place Lille on Sunday with a 20-point lead over their opponents. A win for PSG will to clinch a sixth title in seven years with seven games to spare. PSG were widely expected to beat Strasbourg on Sunday at the Parc des Princes but instead dropped their first points at home this season in a 2-2 draw. Third-place Lyon will hope for a PSG win so the fight for the second automatic Champions League qualifying place can be rekindled. Barcelona get something of a break this weekend as they, too, close in on the Spanish league title. After defeating Atletico Madrid last weekend to open up an 11-point lead, and then beating Manchester United in the Champions League on Tuesday, Barca travel to last-place Huesca on Saturday in La Liga. While Barcelona are unbeaten in 17 matches in all competitions and haven’t been defeated in the league since November, Huesca have lost 17 of their 31 league matches so far and won only one of their last eight games. Playing in the first division for the first time, Huesca were routed 8-2 by Barcelona in the teams’ first meeting. They are six points from safety with seven matches remaining. Atletico Madrid, trying to hold on to second place, host Celta Vigo on Saturday. Third-place Real Madrid, who are two points behind their city rivals, visit Leganes on Monday. Bayern Munich head into a match against Fortuna Duesseldorf with a one-point lead over Borussia Dortmund in the German league with six rounds remaining. Bayern and Dortmund have exchanged the lead five times this season, and Bayern are the latest to be in front after a 5-0 win over Dortmund last weekend. But Fortuna could provide Bayern with a stern test on Sunday after having virtually assured Bundesliga survival with a 2-1 win at Hertha Berlin last weekend. They have claimed 28 points from their last 14 games and only three other teams have done better. Dortmund host Mainz on Saturday, with coach Lucien Favre saying he will try to “relax the team so they rediscover the fun in football”.